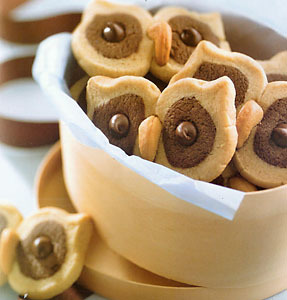 Seems like owls are every where now. It’s like the little bird craze few years back. 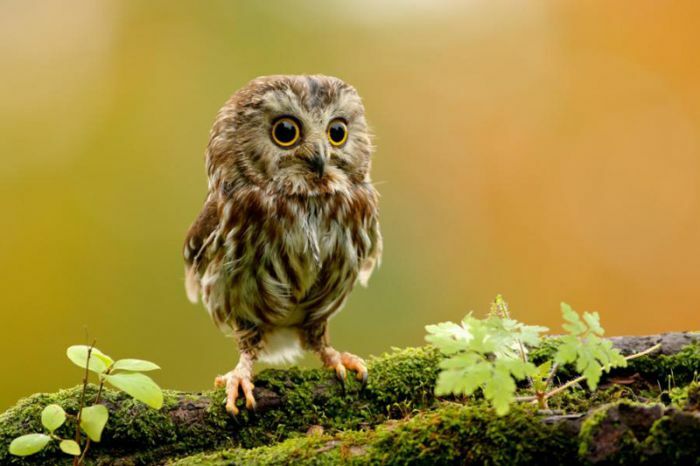 There always seems to be a creature of the moment and I am glad the owl is getting it’s due. I’ve had the pleasure of seeing a owl in the wild. An amazing creature that took my breath away. Here’s a little selection of items featuring the wise old bird. 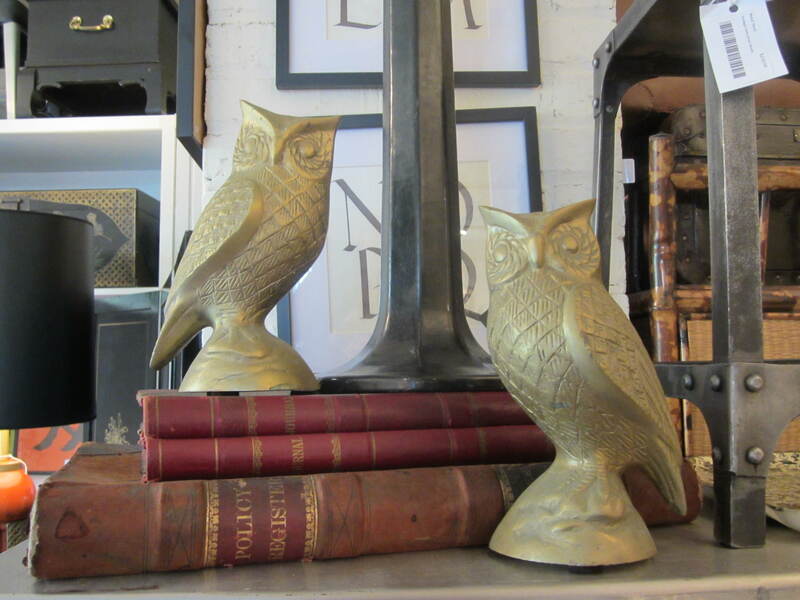 I love these bronze owls from 610 Home. Perfect mantle or shelf filler. They are next on my list. 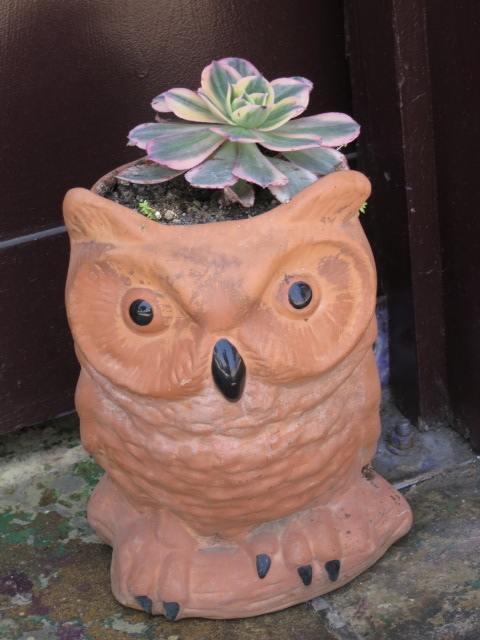 One of a pair of Owl Planters which I just scored at Brainworks! I am searching for the perfect spot. I grew up with owl andirons. 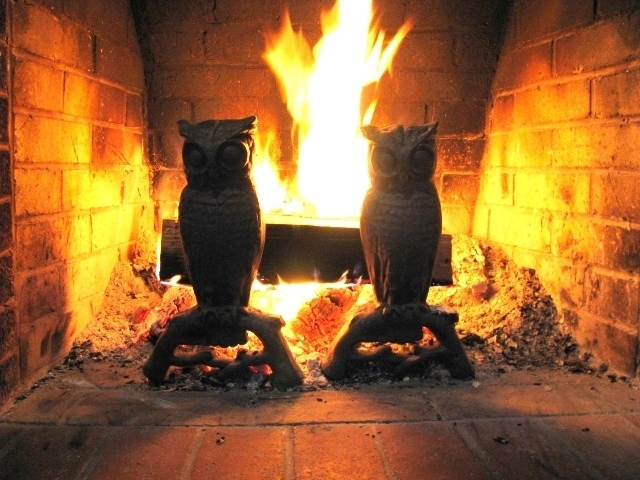 I would lay in front at the fireplace staring at the glass eyeballs lit up by the flames, glowing bright. My sister Darbie has them now and I am jealous. I would love this owl to keep watch over one of my rooms. 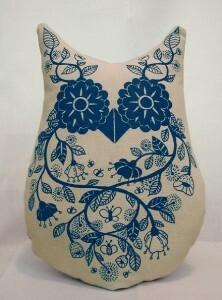 Owl Pillow simple, blue and a great accent for chair, sofa or bed. 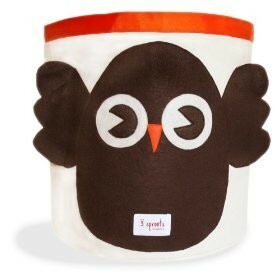 I’ve purchased several organic Owl storage baskets from 3 Sprouts for my design clients. It’s so hard to find cute storage for kids stuff and these do the trick. 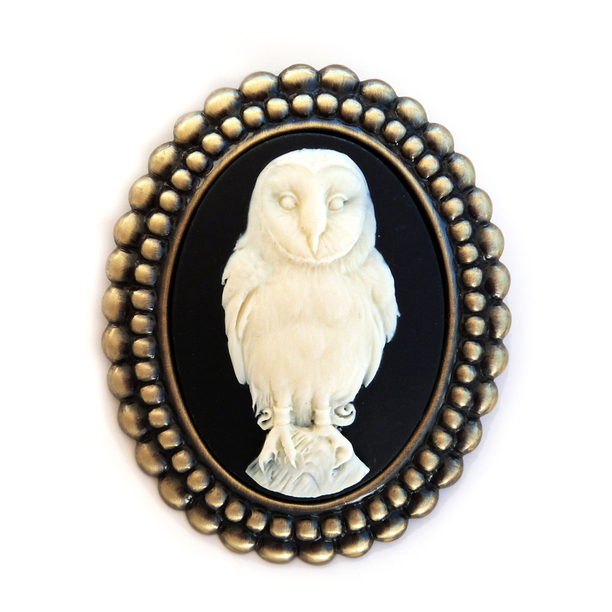 This cameo can be hung from a chain or velvet ribbon. It also has a pin so you can fasten on a piece of clothing. 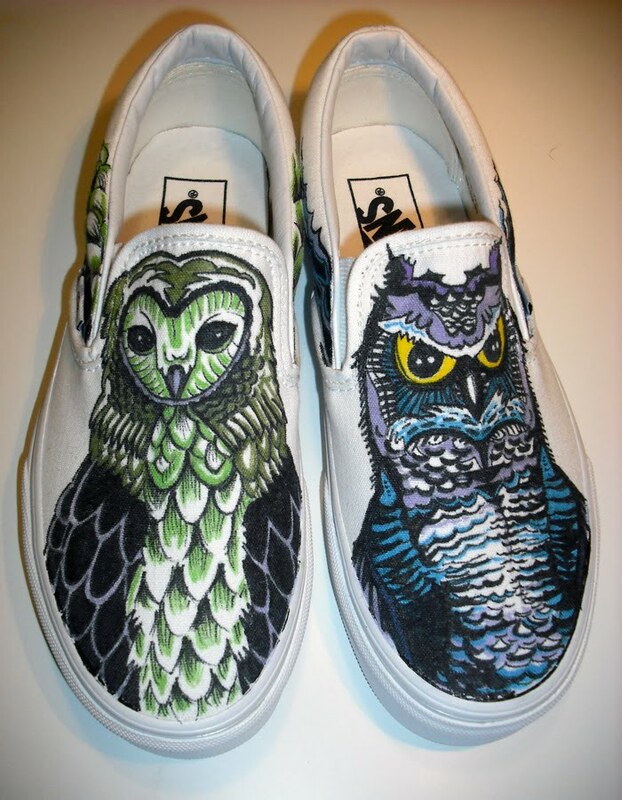 How cool are these hand painted owl Vans? I need a pair for running around. 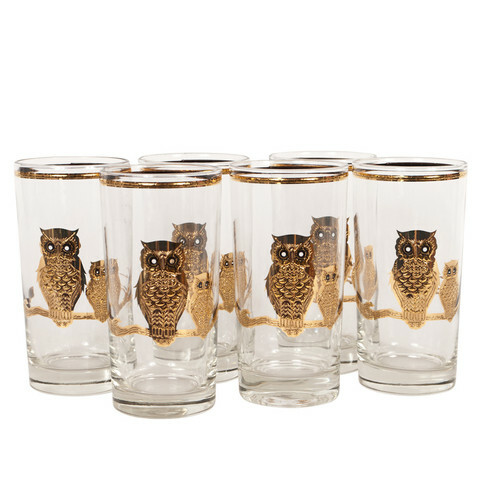 I am sure drinking out of these owl glasses from Chic Shop would make me much wiser. 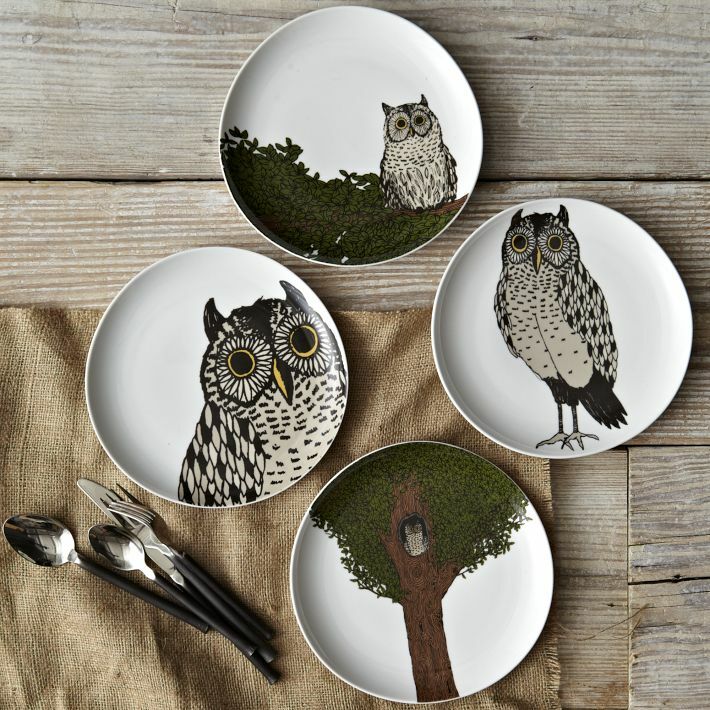 These plate from West Elm are adorable and affordable. I love the little guy in the tree. I think my favorite owl of all time is Woodsy. 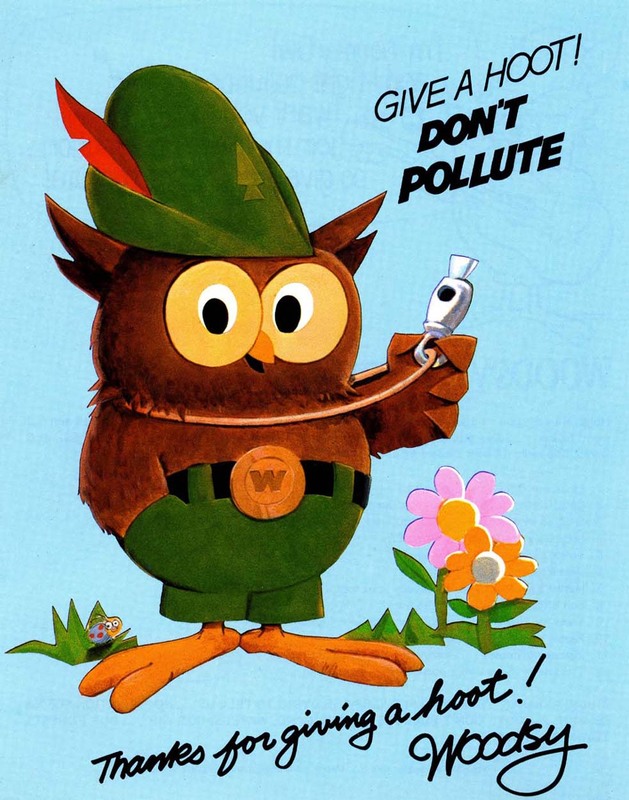 “Give A Hoot Don’t Pollute” was his mantra. Certainly all you readers who were around in the 70’s had a poster of this guy in your classroom. « Use Your Brain and Shop at This Great New Store! Love Woodsy and your blog.